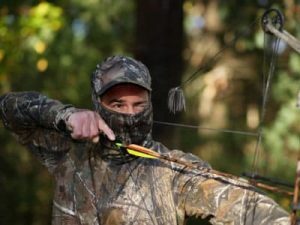 Bow hunting is a popular sport, but there are many things to consider if you are a new bow hunter looking to get set up in the sport of bow hunting. Laws and hunting seasons differ from state to state, and to get state specific information, you should contact the game and fish commission or other regulatory agencies, to ascertain the accurate regulations, hunting seasons, and other state laws. Every state needs licenses, with the possible exception being some privately owned hunting clubs designated for organized bow hunts. The next thing is educating yourself concerning the different bows available. It’s true that the type, brand, and selection of bows will depend on individual tastes, but also on the season you are planning to hunt, the animal you plan to hunt, and state and federal regulations regarding that. There are four general type of bows for hunting. Let me tell you about them. Stick bows are the most basic bows. An example of a stick bow is the English long bow. They are about as tall, or taller than an average person, ‘D’ shaped, and have little or no recurve. If you look at a recurve bow from the side, the ends curve away from the archer at the tips. This gives a greater amount of cast to the arrow. Many people prefer recurve bows when bow hunting, especially when traveling in wooded areas or on horseback, because they are considerably shorter than a regular stick bow. The compound bows are a more modern type of bow. It uses a standard bow construction in conjunction with a system of cams, pulleys, and cables, to make it easier to draw, creating a higher velocity arrow trajectory. It’s important to consider the draw weight and draw length of the hunting bows you choose, and it is best for the draw length to be determined by an experienced professional. Bows are not one size fits all. Crossbows are used for target shooting and for sport hunting. A crossbow consists of a stock, upon which a bow is mounted. The bow shoots arrow-like projectiles released when a trigger on the stock is activated. Once you’re familiarized with the laws, fulfilled any obligations prerequisite to hunting legally, such as licenses and safety courses, and chosen the proper bow for your needs, you should consider the type of arrows you’ll need for bow hunting. There is cedar, aluminum, and carbon shafted arrows. Research to determine which arrow shaft will work best for you based on your bow, where you’ll be hunting, what you’ll be hunting, and any regulations by the government or hunt club. It is a good idea to check with a professional archery dealer, until you are comfortable you can choose the arrows best for your bow hunting experience.